Virtually Rip & Tear Proof! 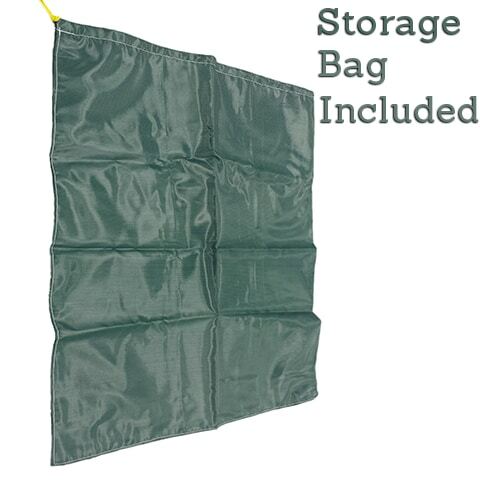 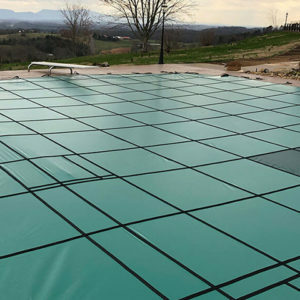 The 14’6 x 28’6 Grecian Hydra-Lite Weight Safety Pool Cover is American Made from a lite weight 7oz reinforced material. 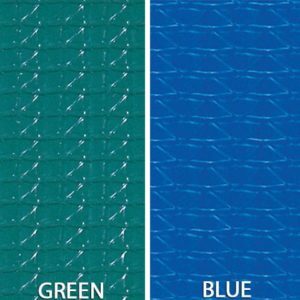 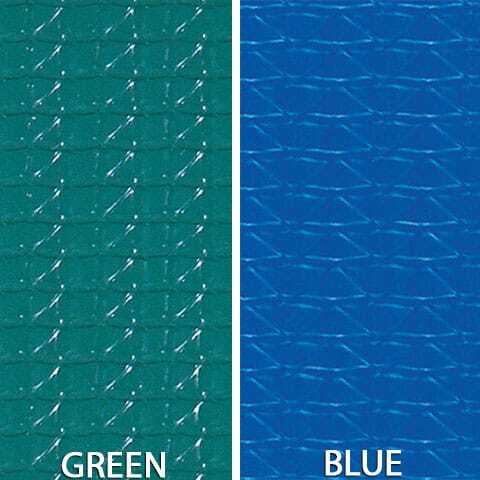 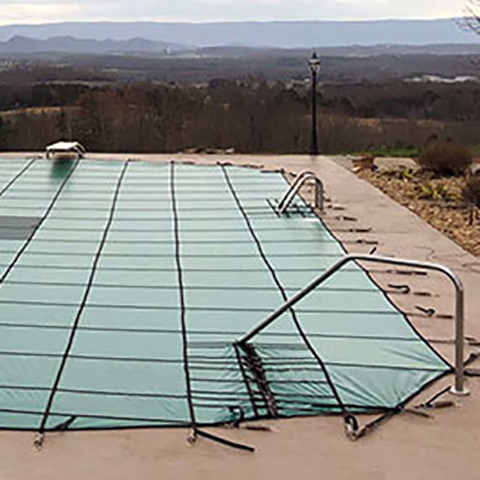 These top of the line Grecian solid swimming pool covers that combine a unique extra-strength vinyl with superior sewing techniques giving each cover enhanced durability that will hold up under years of extreme weather conditions. 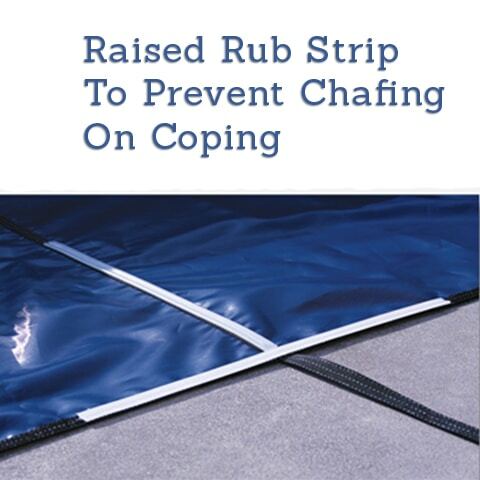 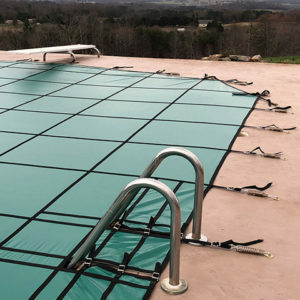 Taffeta reinforced swimming pool covers resist wearing and provide superior strength which other non-reinforced covers cannot duplicate. 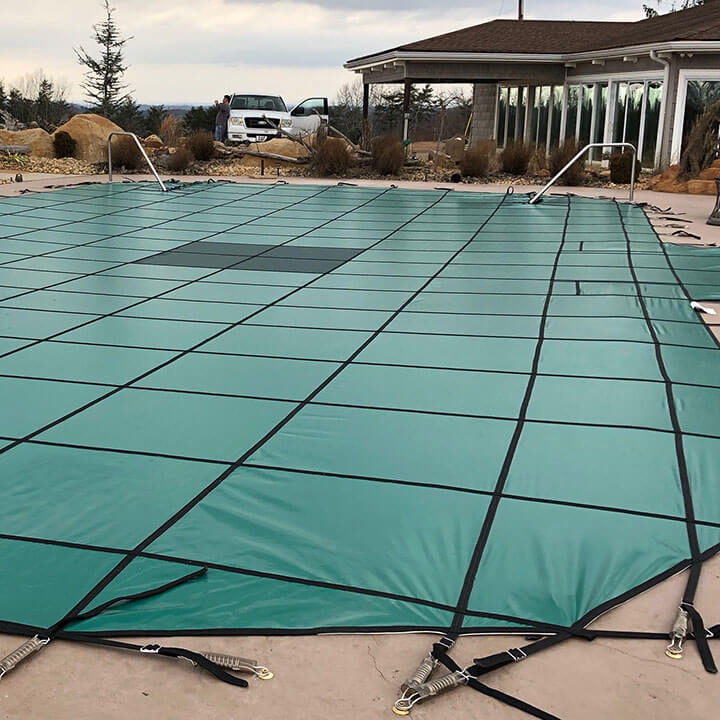 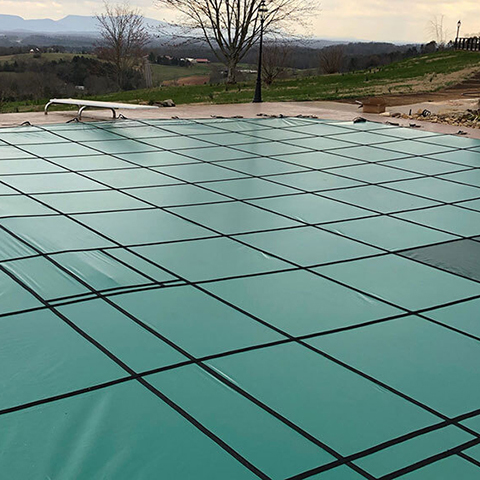 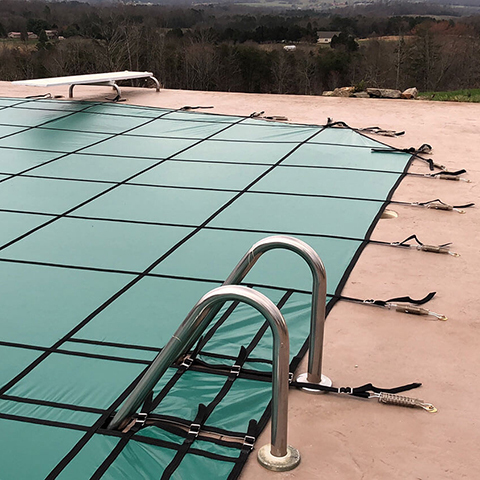 These Grecian solid swimming pool covers are meant to keep rain and melting snow out, leaving properly treated water clean and clear till spring. 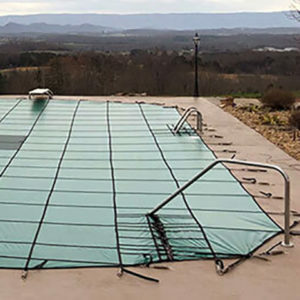 Remember these pool covers are solid – standing water must be pumped off the top to prevent drowning risks to children or pets that might stray onto the pool cover.